The Nissan Qashqai is considered to be the first crossover car – a car with the versatility and rasied ride-height of an SUV, but with the low running costs. 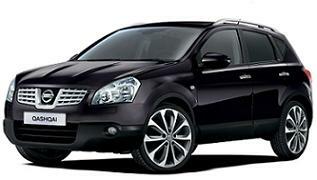 On top of its excellent safety features, the Nissan Qashqai is well specced, eye-catching and fantastic value for money. Special Lease Car Offer Prices: Nissan Qashqai model prices are based on contract hire deals or private leasing car over 48 / 36 Months.